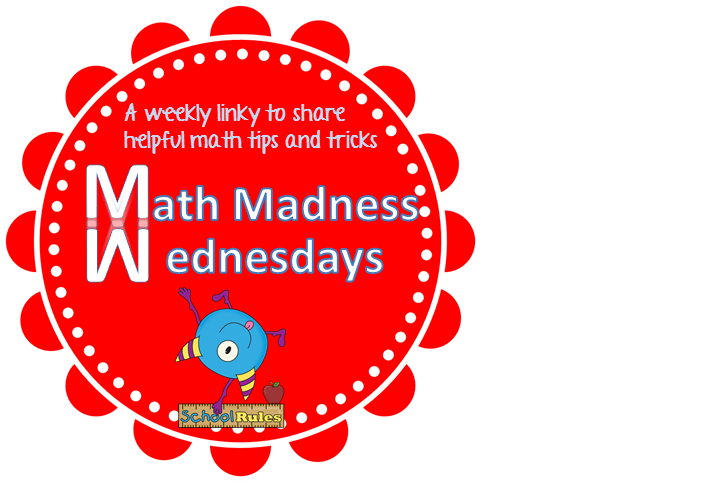 Welcome to Math Madness Wednesdays! This is the first of what I hope to be many helpful posts focusing on elementary math best practices. I have many ideas and plans for this blog series, but I want to make sure it is helpful to YOU! So, I want to hear from you. What topics would you like to be covered? What are you wanting to know more about? If you have a topic you would like me to cover, please let me know! This week’s topic will be tens frames. While these are somewhat new to many, the ideas are the same as what we have been teaching for years. A tens frame is a visual way for students to “see” the numbers they are working with. It is especially helpful while they are learning to add and subtract. While they are used for the same concept as base ten blocks have been used in the past, I have found tens frames to be more versatile. Rather than building up 10 high (which can be difficult to see quickly) students can more quickly count how many counters are in a tens frame (and eventually, how many are NOT there). Centers are a great way to reinforce addition and subtraction skills. 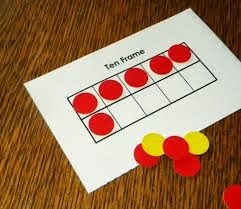 Tens frames are an easy way for students to practice these skills, especially in the beginning. I have several of these available in my TPT store and I am offering this one as a FLASH FREEBIE this week! Basically, the students spin two spinners and add the 2 different colors of pencils together. They spin the purple spinner and add that number of purple pencils. Then, they spin the pink spinner and add that number of pink pencils (Pictures of pink and purple pencils are included in this download). Then, they count how many pencils there are altogether. A recording sheet is included so they can write down their problem, color the picture, and solve it. Another way I use them is as a quick time-filler game. I have several copies ready to use near my document camera. I will “flash” them on the screen for my kids for a couple of seconds, then turn it off and see who remembers how many dots there were. 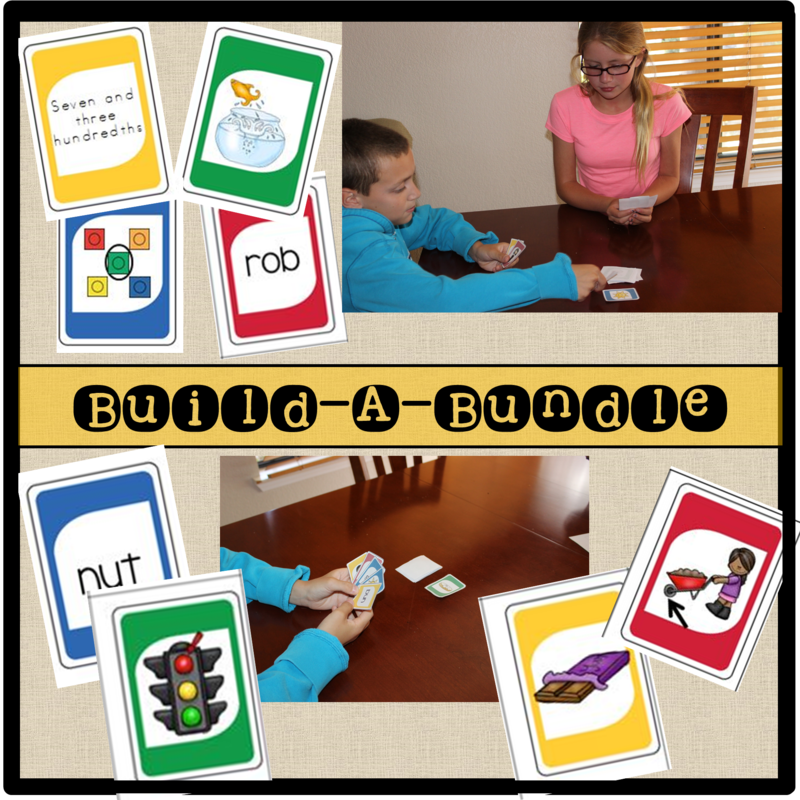 This simple game is not only quick, but it can be differentiated for any grade level. Just starting out? Use one tens frame only. Are your kids more advanced? 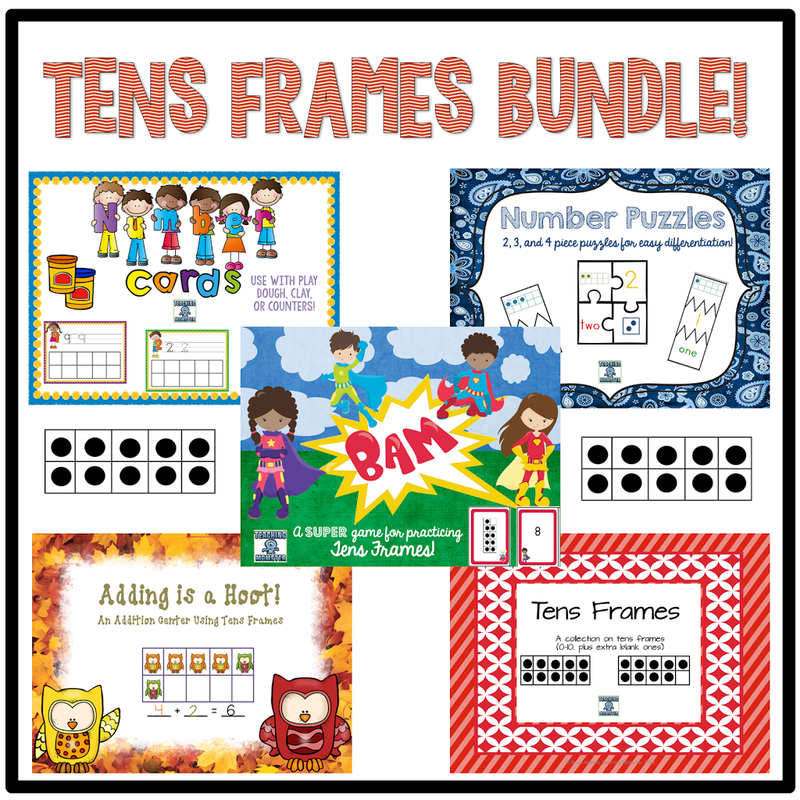 Use several tens frames at a time! You could even do this with flashing one tens frame on one side and a different frame on the other side and ask the students what the sum of the numbers is. They love to play (they even want to be the “flasher” sometimes!) and it is good practice to promote quickly recognizing numbers! Do you need a set of tens frames? I have another FREEBIE here! This is a forever freebie from my TPT store. Simple tens frames for the numbers 0-10 (can be used together to make higher numbers). How do YOU use tens frames? What do your kids love about them? Or, what do they struggle with? I would love to hear from you! *Note to fellow teacher bloggers: If you’d like to link up your post with a helpful math tip or trick, THANK YOU! Please make sure to add the Math Madness Monday button, found here, at the beginning of your post to help show that our posts are all linked. Please also name your post Math Madness Wednesdays: Tens frames 2/19/14. This link up will last until Saturday, February 22, 2014. Be sure to come back each week to join up! Thank you for joining Math Madness Wednesday this week! I can’t wait to learn so much from everyone! While you are here, I would love for you to join me or follow me to keep in contact. You can find all of my social buttons underneath my About Me picture. Thank you for the opportunity to link up! I love your activity and can’t wait to try it with my kinders!